Hi, my name is Bek and I'm Finn's mum. Finn went missing on the 8th July 2017 which is now nine very tough months ago. Finn was 17 when he went missing but has since turned 18. Myself, all of Finn's family and friends deeply love him and miss him so much. I wanted to share something with you, to show you that in such a difficult time in life you can still make positive things happen. I was asked by Missing People around Christmas time if I would consider helping out with a pilot scheme called 'Walk for...' where you set up a walk to raise awareness of your missing loved one and raise money for Missing People. I said yes straight away as I had already been feeling like I wanted to try to give something back to the charity that had helped me so much over the months that Finn had been missing. 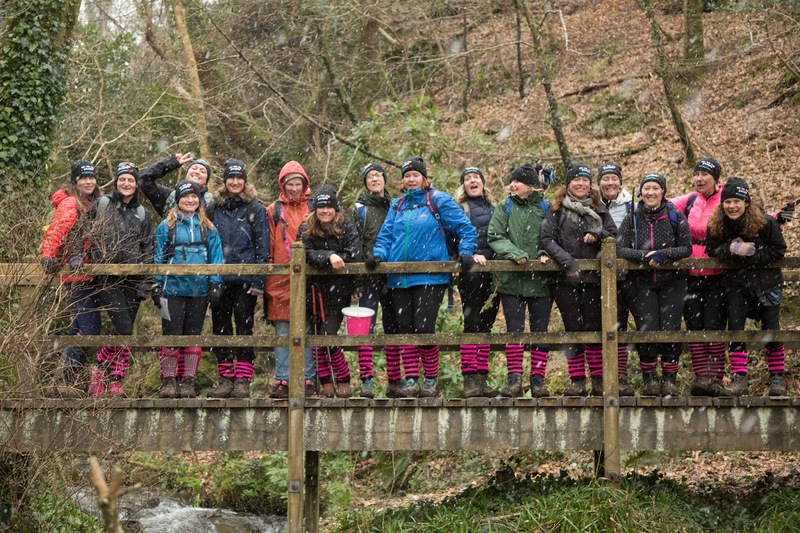 I live in Cornwall, myself and pretty much all of my friends love walking and we all love a bit of a challenge. I chatted with a few of the girls and we came up with the idea of doing a walk called The Saints Way which starts on the North coast of Cornwall at Padstow, and ends up 48km later on the South coast at Fowey. For some reason we also came up with the idea of doing some of the walk in bikinis to try and make it a bit more of a challenge and to hopefully raise some extra funds. I am really very lucky that I have an amazing bunch of friends that threw themselves into the whole idea. Different people helped me to organise all sorts of aspects of what needed doing in the weeks leading up to our challenge. 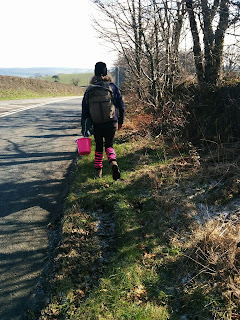 I set up a Justgiving page about a month before our walk, putting in quite a lot of thought of the best ways of using social media to raise money. 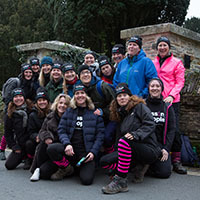 It paid off because we raised a few thousand pounds in a very short space of time before we even set off which was amazing and spurred us all on to do more. 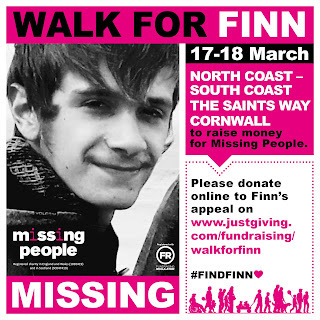 At the forefront of my mind, as well as raising money for Missing People, was reminding as many people as possible that Finn is still missing. In the week running up to the walk I did interviews for BBC, ITV, & local radio stations which although slightly daunting, brilliant opportunities for raising awareness. At 7am on the 17th March, myself and seventeen friends set off from Padstow. We walked for 33km that day in sunshine and snow… and occasionally bikinis! 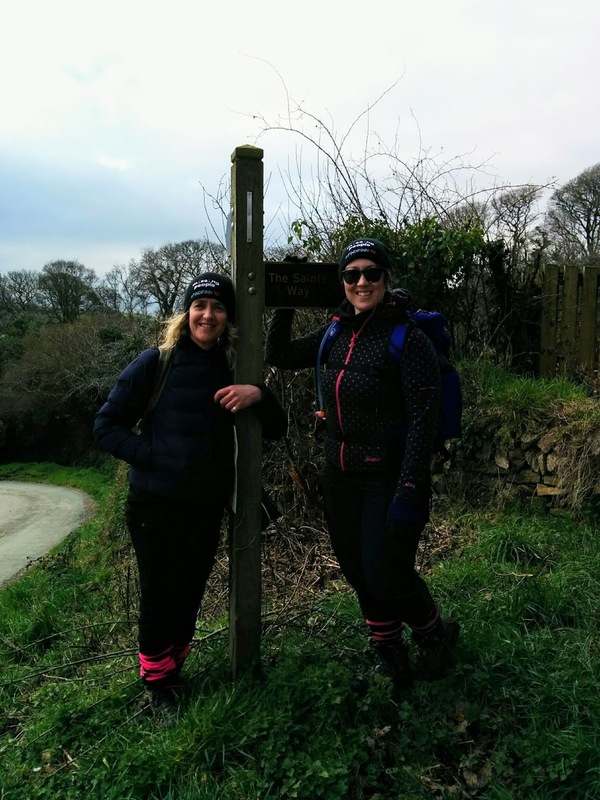 It was a beautiful walk on an ancient pilgrim’s route across Cornwall. We walked until about 5pm when we reached our overnight stop with a nice open fire plus a well-deserved pint or two. We set off again on Sunday morning heading to our final destination of Fowey on the South coast. It was a beautiful part of the walk through ancient woodlands, alongside creeks with heavy snow falling. We made it to Fowey in the early afternoon where friends & family were waiting to greet us which was lovely. What I really wanted to get across through writing this was how amazing an experience this has been for myself and my friends. It does go to show that when a group of friends choose to pull together with hope, positivity and laughter, you can achieve something really good and rewarding. 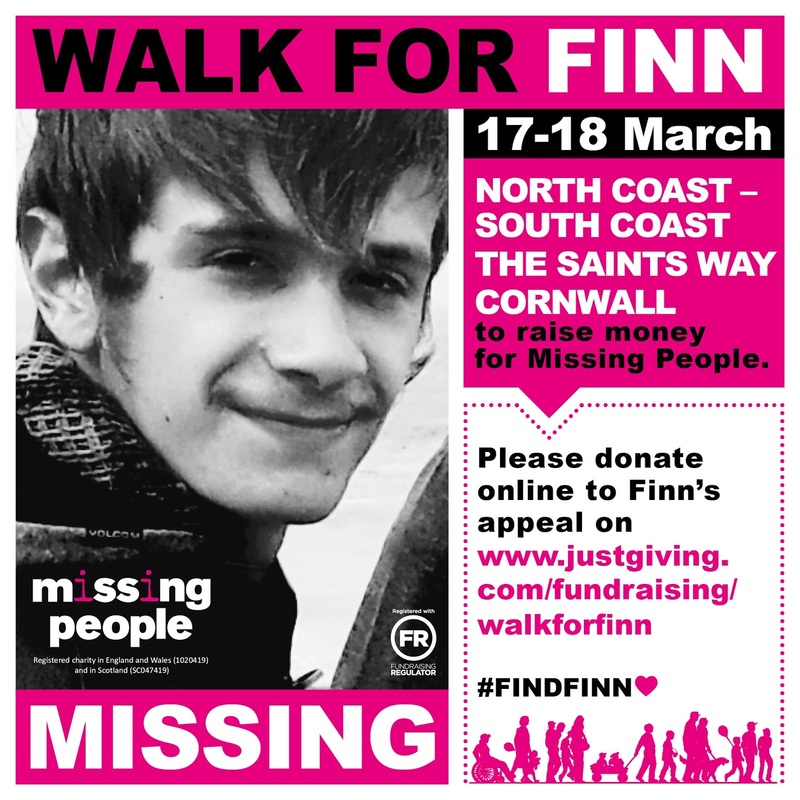 We spoke to people we met along our walk about Finn, spread the word about what great stuff Missing People do. We also managed to raise an incredible amount of money in a very short space of time. Any worries that I had about setting up the walk beforehand were 100% outweighed by the positive experience I gained from it. Bryony, from our Supporters team, says: Bek has been a fantastic ambassador for what can be achieved and I want to say a huge thanks to her and everyone who took part! 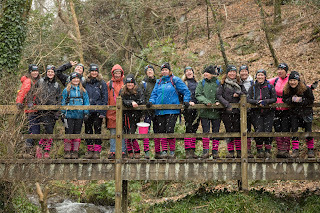 This walk was the first of its kind so I joined the group to see first-hand how it went and to understand anything we could tweak or improve for future walks. Leading up to the walk, we designed personalised resources, offered support with fundraising and media. Enlisting the support of friends and the wider community, Bek went far beyond what she expected to achieve, raising a huge amount of awareness of Finn’s appeal, the charity... and an incredible £8,617 (including Gift Aid), helping Missing People continue providing a lifeline for everyone affected by a disappearance.